Join Tony McNeight and Amelia Homs for an 11 day sketch tour to Barcelona, Valencia and Seville. 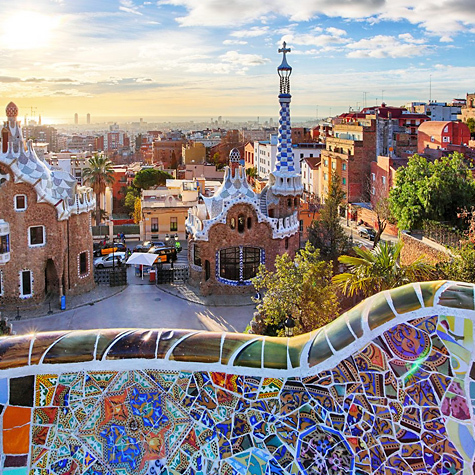 Be prepared to enjoy the vibrancy of life and cultural richness of the most attractive cities in Catalonia and Spain. Amelia will be our guide; she is from Barcelona and has wide experience, traveling every year around Barcelona primarily, and other cities and regions in Spain. She is a passionate foodie, sketcher and photographer so she knows the best places to eat, the best views for sketching; getting amazing scenes and perspectives in the cities we are going to for the next 11 days. Tony is the face of Erin Hill sketching New Zealand. 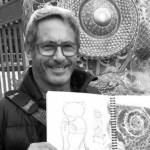 Having been a creative in advertising, an artist and childrens book illustrator, he is an avid sketcher and teacher. 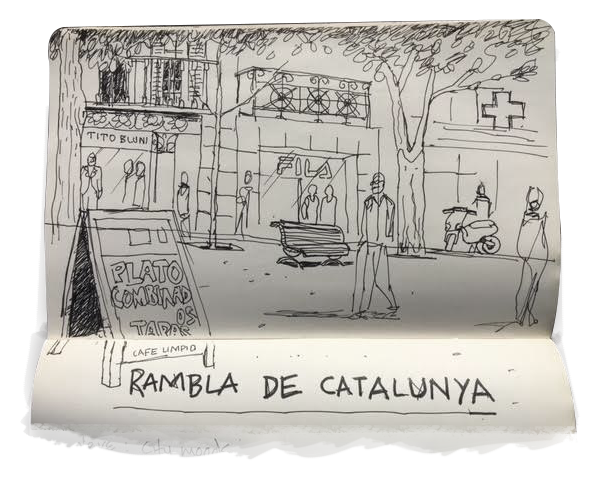 Tony has taken sketch tours overseas previously and he will mentor and guide you to really ‘see’ and sketch ‘your’ Spain with special memories to bring home in your sketch journal. This includes daily sketch tutorials, Amelia’s fabulous tour guiding, all accommodation, breakfasts, all internal travel, trains, local transport and entry to galleries museums (on scheduled tour). We start in Barcelona, one of the worlds most stylish cities, full of amazing architecture design and artworks making this a sketchers paradise. 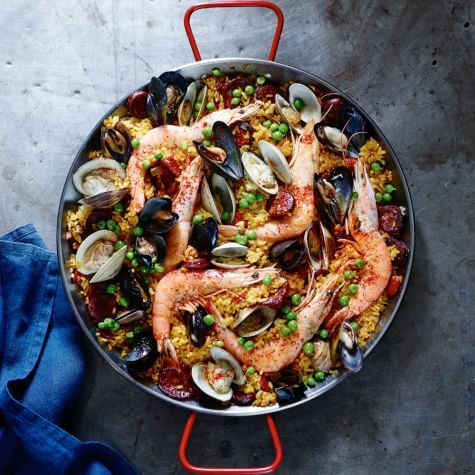 It is also the home of amazing restaurants and eateries with a strong culinary tradition and the inventive Catalan spirit. 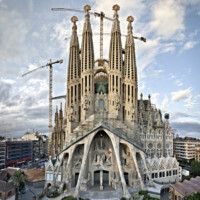 We will be staying in a boutique hotel beside the famous gothic avenues Las Ramblas, also visiting the famous artist Gaudi’s Gracia Promenade, ‘sketch feasting’ on amazing colours and wonderfully, ‘no straight lines!” A tour to the promenade by the sea to walk sit and watch while enjoying Paella in one of the many outdoor cafes. Over our 4 days in Barcelona we will visit the famous Le Boqueria food market where we can eat and sketch exotic fruits spices and seafood not seen anywhere else in Spain. Picasso’s museum is a must-see, along with Gaudi’s world famous Cathederal Sagrada Familia – that just keeps growing! We will immerse ourselves — like true sketchers — in the sounds and smells of everything this city offers, night and day. From Barcelona we travel by fast train to Valencia, passing little villages and endless rows of orange trees. Our small hotel — right in the heart of the authentic ancient city — offers short walks to sketch the famous ancient city walls and towers. 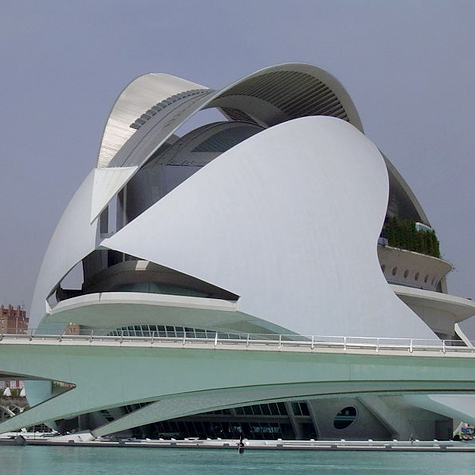 For architecture lovers and sketchers alike we visit the futuristic world famous Calatrava architectural modern buildings. Travelling to iconic L’Albufera natural park we have a taste of traditional fishing and the fishermens lake huts. This being the home of the first rice fields in Spain, produced the first and most famous paella in the world, and of course we would be fools not to try it. Back in the town you will have ample free time to explore colourful streets, squares, gardens and the local vibrant life, drinking and eating regional specialties at our suggested places. You will be blown away by the Moorish architecture, so evident in Caliphas Palaces and the gardens of Alcazar. Imagine sketching while being surrounded by a cocktail of colourful gardens full of orange blossom aromas and jasmine plants. This romantic city has so much to offer and we will capture its heart and soul. Now, the jewel in the crown! The date of this tour was specifically chosen around a unique week in Seville (the home of Flamenco). This event only happens once a year. 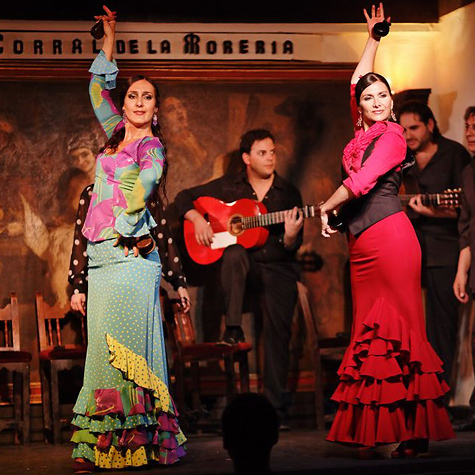 It is the week of Flamenco! We will immerse ourselves in the passion of the flamenco night, where every citizen rich or poor dresses up and dances in the street, and, we will be part of it, after going to our own private flamenco lessons (of course). Sketch books are optional! This is nonstop for 5 days and we are fortunate to get a taste of it. Be prepared for a late night! 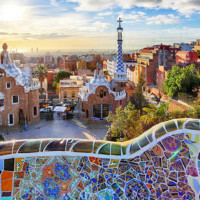 Recovery day will be a lazy riverboat ride through the city with a great Spainsh lunch to fairwell us from this fabulous city and trip to Spain which we will have captured in our sketch books and in our hearts forever.